At this point, Feig, Apatow, and the rest of the Freaks and Geeks crew had proven that were up to just about any creative challenge, but sadly, writing a “lighter” “second pilot” didn’t turn out to be a surmountable task. “Carded and Discarded” doesn’t really feel like an effective first episode; it reintroduces everybody, but never in a compelling fashion. It certainly doesn’t feel like a seventh episode; watching the series in order, it’s jarringly out of place, making only one minor reference to anything else that has happened in the series. Most importantly, “Carded and Discarded” doesn’t feel like Freaks and Geeks. The humor is broad and pandering, the characters are hollow shells of their former selves, there’s no thematic depth or relevance to speak of, and most damningly of all, it leaves no lasting impression. Each of the show’s first six episodes hit me hard and left an impact, an impact that inspired me to write long dissertations on each story. With “Carded and Discarded,” though, I’m struggling to remember what happened, even though I’ve been away from the TV for only a few minutes and have extensive notes in front of me. It has no substance, and that, more than anything else, is what makes it feel out of place among the larger Freaks and Geeks canon. I’m sure NBC loved the episode back in the day, however. To them, it probably felt exactly like the show they thought they were getting in the first place: a silly, clichéd, lightweight riff on being a teenager, rather than a dark, introspective analysis of one of the most crucial and horrifying periods in any person’s life. 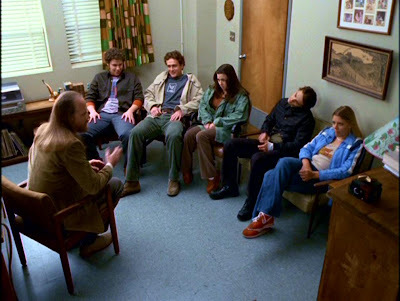 So let’s make this quick; I have full faith that the next episode will be Freaks and Geeks back at its creative best, and there’s no use dwelling on this network-mandated aberration twelve years after the fact, especially when DVD magic makes “Carded and Discarded” so easy to skip and ignore. The “Freaks” story, about getting fake IDs, was the more troublesome half of the hour. Every show about teenagers has tackled this subject, and while Freaks and Geeks has gotten dramatic mileage out of well-mined territory before – throwing a Kegger, forming a garage band, going Trick-or-Treating, etc. – this story has nothing fresh to say. It has nothing much to say at all, really. The Freaks want to see a cool new band, but it’s in a bar, so they decide to get fake IDs. Their first attempt fails. They try again. They succeed. They go to the bar, they get in, it turns out Mr. Rosso is the singer in the band, and they are publicly shamed. 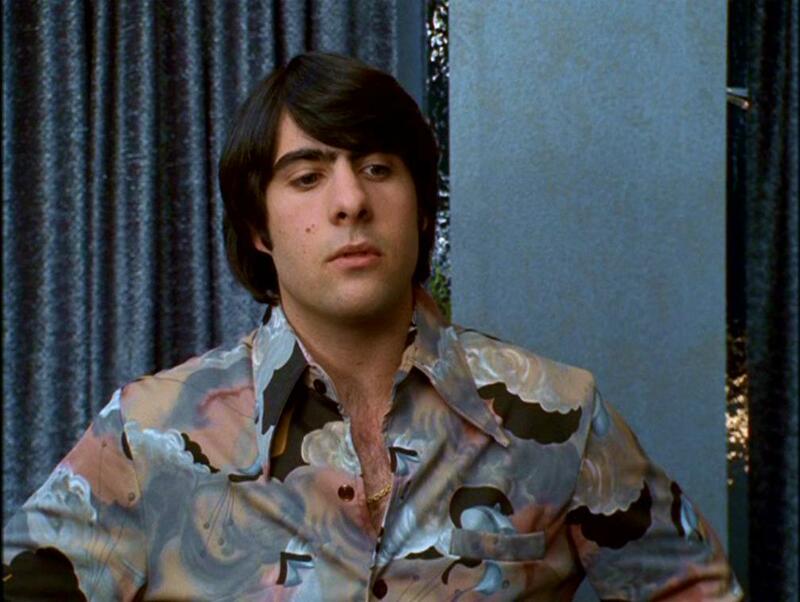 It’s a very, very straightforward story – with the twist about Mr. Rosso being the only surprise, albeit one that cheapens the whole saga – and is mostly an excuse to have recognizable funny men like Kevin Corrigan and Jason Schwartzman yuk it up. Both guest characters are far too broad for the world of Freaks and Geeks (and I usually like Corrigan and Schwartzman an awful lot), and in the end, this story tells us nothing about our core characters. They don’t learn anything from the experience and we, the audience, learn nothing about the Freaks as people. It’s a waste of a story, with the only recognizably Freaks and Geeks-esque touch being that the entire affair blows up in the group’s faces. 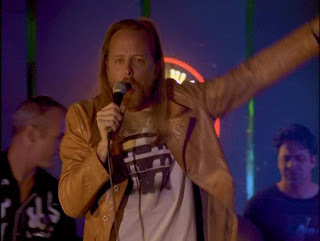 Even then, Mr. Rosso as lead singer of a rock group feels like a broad, cheap joke out of a different, lesser series, and there’s no major impact to the ending, because we have no emotional investment in the story. More disturbingly, for me anyway, is that Lindsay is written as a different person than the girl we’ve known for six episodes. She’s eager to get fake IDs, not only suggesting the idea but also offering to pay for them with money her Grandmother gave her for college (and wasn’t her Grandmother’s death a focal point of the Pilot?). Even one week ago she would never be the one to suggest an illegal activity; we’ve seen her hesitantly go along with the Freaks’ bad ideas in the past, but she got over that phase in “Tests and Breasts,” and throughout the series, she’s encouraged her friends to better themselves when they stoop to misbehavior. Eagerly wasting college money on fake IDs? That’s not Lindsay Weir; not even in the slightest. None of the other Freaks are as clearly out of character, but they still feel muted, and when Feig and Apatow’s attempt to reintroduce these people continually wind up undercut by a cheap, out of place joke or unearned moment of brevity. 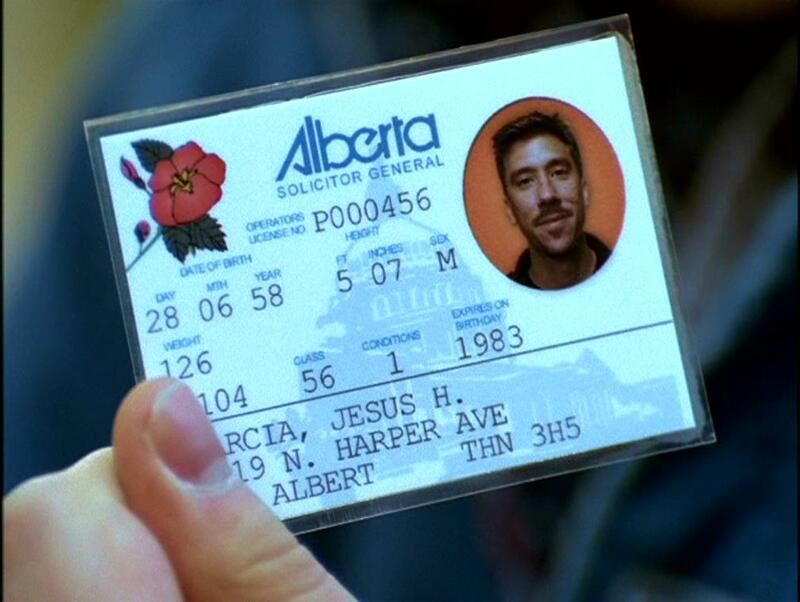 For instance, when Kim examines Daniel’s real driver’s license, she learns he’s 18, and has been held back twice. This is a shorthand way of telling us everything we learned about Daniel in “Tests and Breasts,” but I also think Feig and Apatow could have built on this moment to say something more substantive about Daniel’s flaws. Instead, Kim turns it into a joke, and the scene winds up being largely meaningless. There are only two scenes in the episode that feel like real Freaks and Geeks moments; the first is the post-theme-song sequence, where Harold Weir gives a big speech to his kids about how they’re never home. It’s a great comedic moment for Joe Flaherty, an effective and succinct reintroduction to the Weir family life, and actually tells us something valuable about Harold, that he, like his wife, has trouble letting his kids grow up. 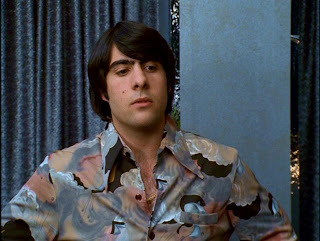 The second good scene is the very last one, where Eli takes Maureen’s seat at the Geeks’ table. It’s just a pleasant, well-observed moment with these characters, and it put a smile on my face. Other than those two scenes, “Carded and Discarded” is a waste of time. I do appreciate the difficulty of what Feig and Apatow set out to do; bringing in new viewers while satisfying old ones is never easy. I’ve only seen it done right once, and that’s in the second episode of Firefly, “The Train Job.” In that case, Fox decided not to air the two-hour pilot, so Joss Whedon and Tim Minear had to write a new introduction to the series. But they also wanted it to function as ‘episode two’ for home video, and while there are a few rough spots, for the most part, it works exactly as intended. Each reintroduction also expands on what we learned about the characters from the pilot, and the plot moves forward in small but meaningful ways. As a whole, it doesn’t feel out-of-place in any way. 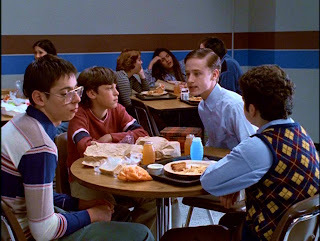 “Carded and Discarded” couldn’t be more out of place with the rest of Freaks and Geeks, and I can’t imagine it attracted many new viewers either, because the tone and storytelling are far too generic and soft to make any memorable impact. Oh well. I haven’t seen the next episode, but I assume Freaks and Geeks rebounds promptly. It is, after all, hailed as one of the best TV shows ever, not a series that had six good hours and then went off the rails, so it’s probably safe to say that “Carded and Discarded” was a one time tragedy. 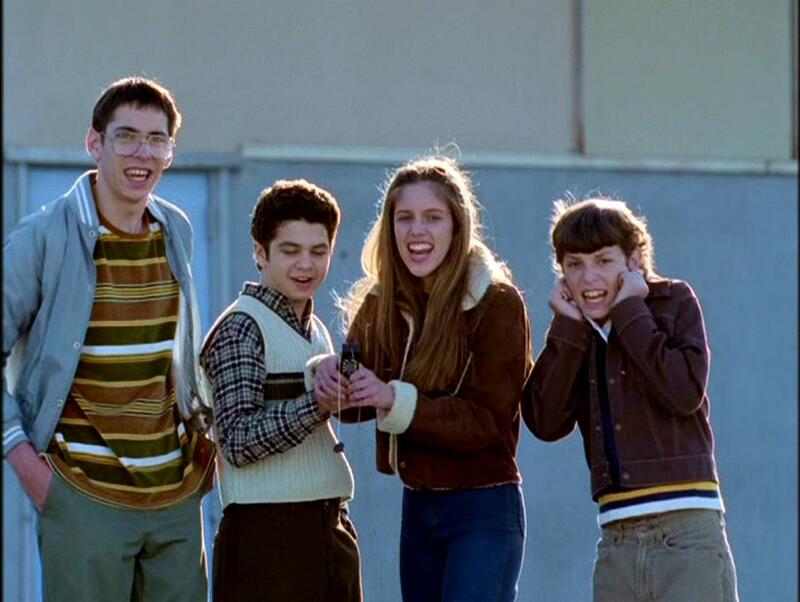 I’ll just put it out of my mind, and in future viewings, treat Freaks and Geeks as a 17 episode series that jumps from episode six to episode eight. Such are the wonders of home video.